Dots are everywhere! Personalized, quality constructed of rugged, dense PVC-backed polyester. 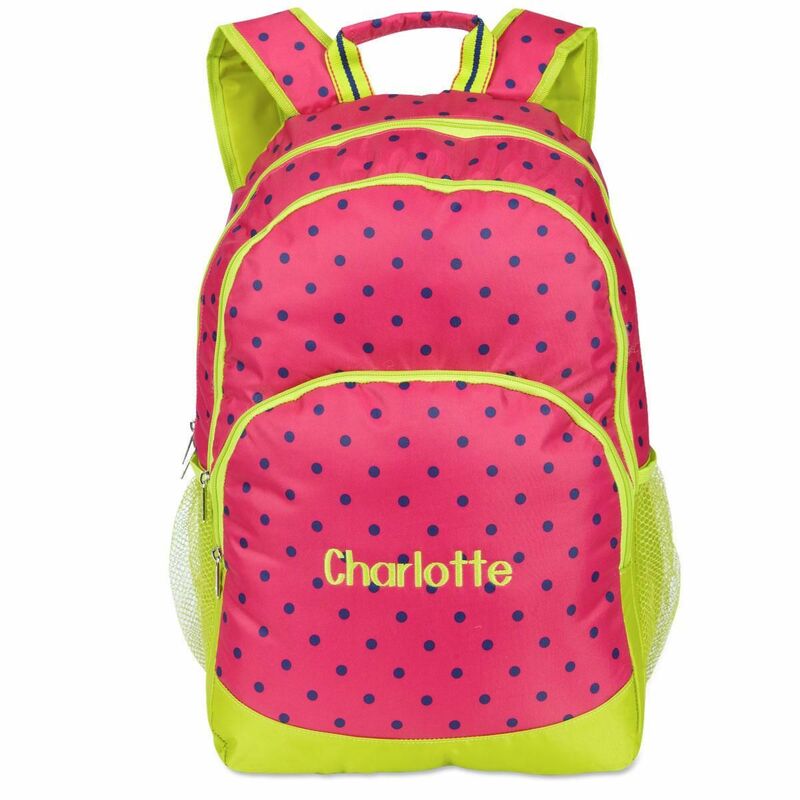 Padded back & adjustable straps; double-zip top and front section, inner utility pockets, hanging/carry loop. Wipe to clean. Imported. 7 x 10 1/2 x 15"H.